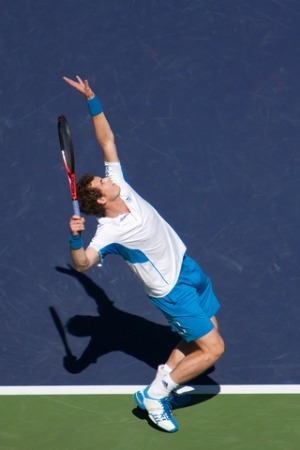 The tennis serve is an ultra-important aspect of being a great tennis player. In fact, one could well say that it is one of the most integral aspects of tennis that needs to be mastered early on in the career of any good tennis player. 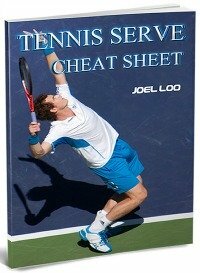 The trophy position is enormously vital to a successful tennis serve and you should understand this position if you want to improve your tennis serves. If you closely watch the great tennis professionals, you will find that their preparation routine to the serve varies, but one thing for sure is that they will definitely assume this trophy position during their tennis serve. This is obviously not an accident! Here is the reason for this: This position is the best form that you can place your body in order to produce optimal racket head speed every time you make contact with the tennis ball. When you both bend your knees and then arch your back in this tennis service, you are actually generating elastic power from the body. As a direct outcome of this, the racket head is brought to the rear as far back as it can possibly go and placed into a convenient position to generate both maximum speed as well as acceleration upon impact. If you are able to develop the consistency that it takes to always get into this appropriate serve position each and every time you go through the service motion, you will be that much closer to a great tennis player. As a matter of fact, assuming this position regularly and consistently is one of the most fundamental aspects of generating a powerful and unfailing tennis serve. I often advise my players to practice their trophy pose during their tennis serve. The reason is simple: The incorporation of this position into the tennis serve could well result in a much-improved serve that could take one’s tennis game to an entirely new level. With just your racket in hand, hold the racket behind your head with the racket frame pointing up. Next, shadow toss the ball and getting into the trophy pose. Remember, your tossing hand should be fairly straighten and point to the sky. Your knees should be bent at the same time. You do not need to complete the serving motion, just get into the trophy pose and stop. Think of it as striking a pose for a photographer. Once you are comfortable shadowing the motion, use a tennis ball so that you really do toss a ball. With the ball, toss it up and get into your trophy pose. Instead of hitting the ball, I want you to catch the ball with your tossing hand. Remember your tossing hand is up, so the ball should be caught above your head. After you are comfortable with this, you are ready to perform the entire tennis serve with a real ball, focusing on getting into the trophy position before hitting the ball. You may take some time to get your timing right if you have not done the trophy position before. Be patient and keep practicing. Once you get your timing right, you will see more power on your serve which will come to you naturally without having to put extra effort. The serve will also be more consistent as you will have a more natural, flowing rhythm. From what you have read, it is clear that adopting this appropriate position during the tennis serve is crucial to the quality of your serve. 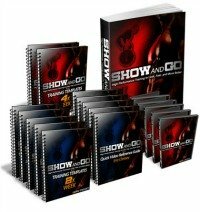 Good tennis players should constantly strive to find ways to improve their tennis serve. I hope you can practice the trophy position so that you can bring to your tennis serve to greater heights. 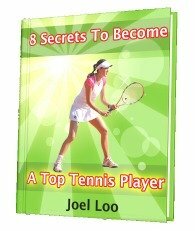 From "Trophy Position: The Key To A Successful Tennis Serve" To "How To Play Tennis Efficiently And Become A Better Player"